Beautiful, thick, shiny hair – the dream of all women from small to large. Shampoos, conditioners, balms, masks, gels – modern industry throws us countless assortment of means on care of hair. But despite all this magnificence, every year it becomes harder and harder to choose the suitable product that not only fulfils all its advertising promises, but will not harm the health. It is time to think about the means, proven for centuries, used by our grandparents. And one of such means can be an ordinary chicken egg. Egg yolk – this shampoo and conditioner, and healing vitamin mask in one portion. 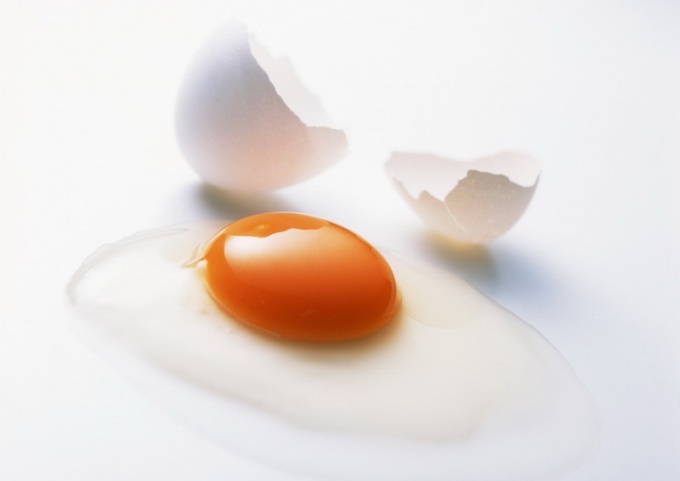 Regular shampooing with an egg makes the hair silky soft, gives Shine, allows to get rid of dandruff. To wash eggs is prepared in advance. You can certainly use a whole egg, but the protein is hard washed out of the hair, as if inadvertently, the water will be slightly hotter than expected, combing coagulated protein as additional entertainment is guaranteed. So to start, separate the yolks from the whites. Proteins is perfect for future use as a culinary or cosmetic ingredient. For a single wash you will need two yolks for long hair, their number should be increased. For greater effect, add a tablespoon of honey, carefully stir the mixture until smooth. Clean-washed hair can be rinsed with infusion of nettle or chamomile and dry them naturally. You will be surprised how easy will be the hair, as they will blow freshness, and health. But the most important effect of egg shampoo is that after using the hair not so fast garnaut and daily washing they are no longer required. Over time you can start to experiment with ingredients in your egg shampoo. For example, the ground coffee will not only be a great invigorating scrub for the scalp, the resulting rush of blood to the skin's surface improve the nutrition of the hair, and even coffee is a natural dye and flavoring. And this is only one warrant, but there are also infusions of herbs, essential oils and other utility, worth a look around. According to people who regularly use the egg as a shampoo, the shampoo to the store to return, they are not going. Too great was the disappointment and sometimes even despair from the consequences of using store-bought cosmetics. And neither one of them they will not exchange your homemade yolk shampoo, creative with their hair a miracle in the literal sense of the word. Based on eggs can make a natural shampoo for hair. This shampoo simultaneously affects the hair as a treatment mask. So using the egg shampoo not only wash your head, but also to get rid of breakage and hair loss. You can wash the head with an egg, using the yolk, and protein. But protein is not very good washed out of hair. Additionally, the protein can fold because of the hot water, then to wash his hair will be even more difficult. In General, the yolk of hair much healthier than the protein, as all the most nutrients for hair are concentrated in the yolk. Therefore it is better to wash your hair with egg yolkand not whole egg. If you have medium length hair, one yolk is enough. For long hair it is better to take two egg yolks. Carefully crack the eggs so as not to damage the yolk. Separate it from the protein and put it in a clean Cup. Add a little warm water. Whisk the contents of the Cup with a small whisk or a simple fork. Wet your hair with warm water. Apply egg shampoo gently massage the hair and scalp. Leave shampoo on hair for a few minutes. The longer you can keep on the hair shampoo, the better it will be to affect the hair. So if you have time, wait at least half an hour rinse your head first with warm, then cool water. For easy combing and give your hair after shampooing yolk rinse your hair decoction of herbs (chamomile, sage, nettle) or water acidulated with lemon juice or natural Apple cider vinegar (1 tablespoon vinegar or lemon juice to 1 liter of water). 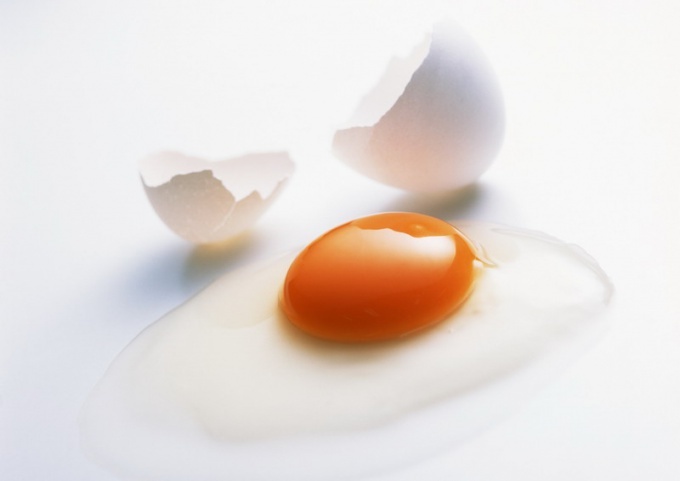 You can wash your hair with egg yolk with the addition of 2 tablespoons of yogurt. Kefir-egg shampoo helps to solve the problem of brittle hair. Instead of yogurt you can use natural yogurt. However, oily hair this mixture to wash is not desirable. Since the head can quickly be contaminated. To rinse oily hair, add the yolk, a tablespoon of brandy and a teaspoon of lemon juice. Instead of brandy you can use vodka. Owners of dry hair, you can add the yolk to 1 teaspoon of castor or olive oil. If after shampooing the hair on the yolk remains an unpleasant odor, add in shampoo some drops of essential oil. It will not only flavor your homemade shampoo, but additionally to treat hair. Most useful for the hair is essential oil of rosemary, but you can also use essential oil of cedar, lemongrass, lavender, verbena, tea tree, Clary sage, cypress, pine, eucalyptus and rosewood.